How often do you need to check a calendar? Probably a few times a day. It’s a perfect reminder just about everything: an important business meeting, a birthday, a workout day, vacations, etc. 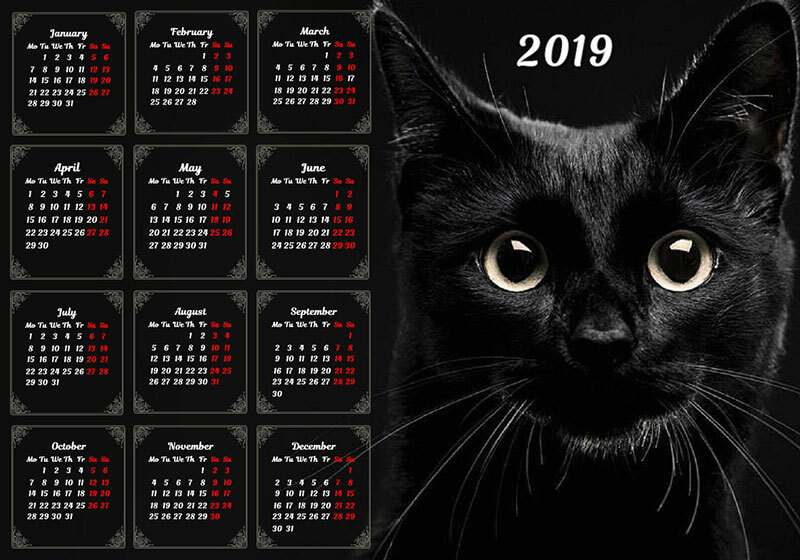 Creating customized calendars is the best way to get an effective time organizer for 2019 with your own design. Feel interested? Let’s start then! A wall poster for 1 year is not just a convenient timekeeper but also an interior decoration. 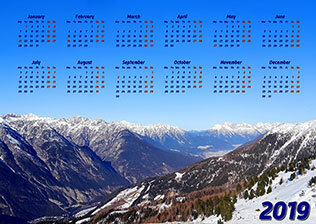 A stylish wall calendar printed in professional quality will beautify any room. Use personal photos to remind you about the most precious moments of your life or make a collage from themed images and create a custom calendar for a wall. Are you one of those who try eating healthy all the time? 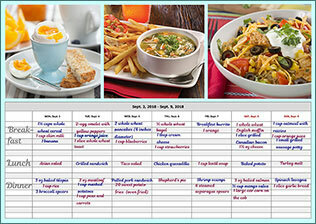 Then you definitely need a meal weekly planner like this! 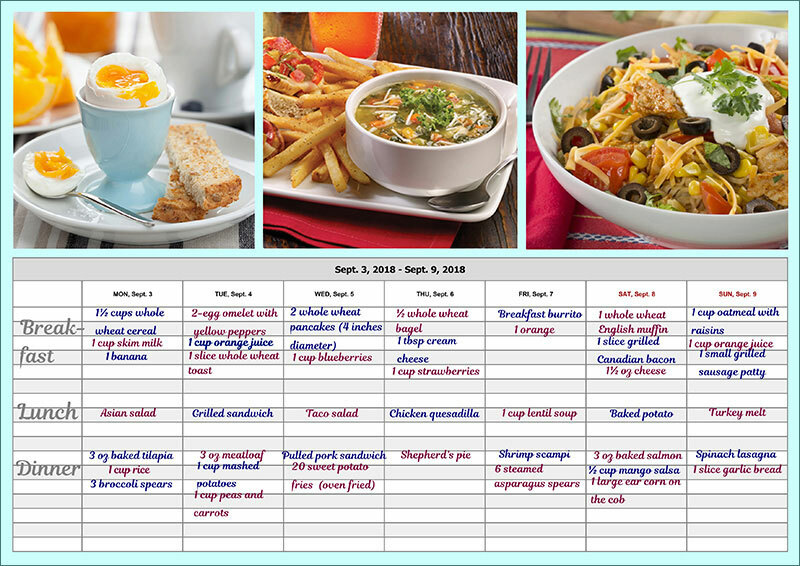 Think through your food menu for a week and create a custom calendar that will help you follow the plan and eat variously. A meal organizer like this will keep your appetite good and spirits high day after day. A birthday reminder is a must-have for people with a big family and a lot of friends because sooner or later the day comes when you forget to congratulate someone you love. Embarrassing situation, isn’t it? 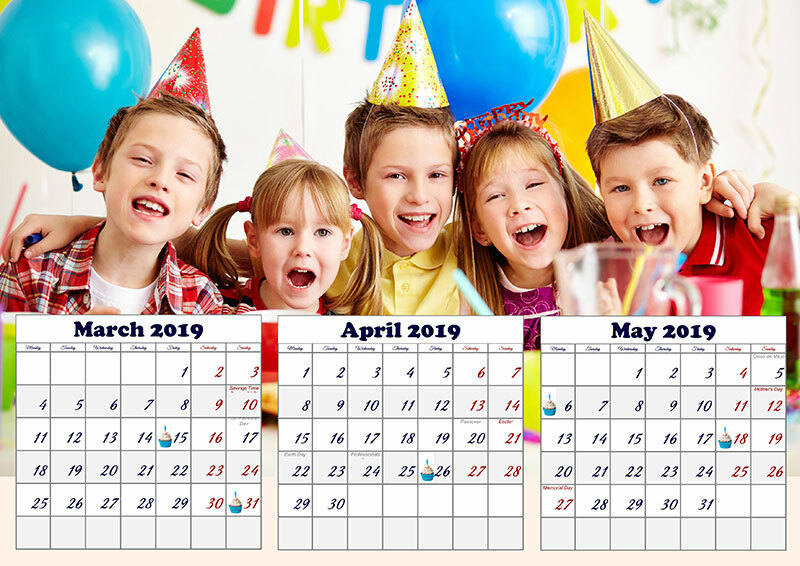 Mark all the birthdays and anniversaries in a customizable calendar and keep track of significant dates with no need to learn them by heart! Go to the gym on a regular basis? 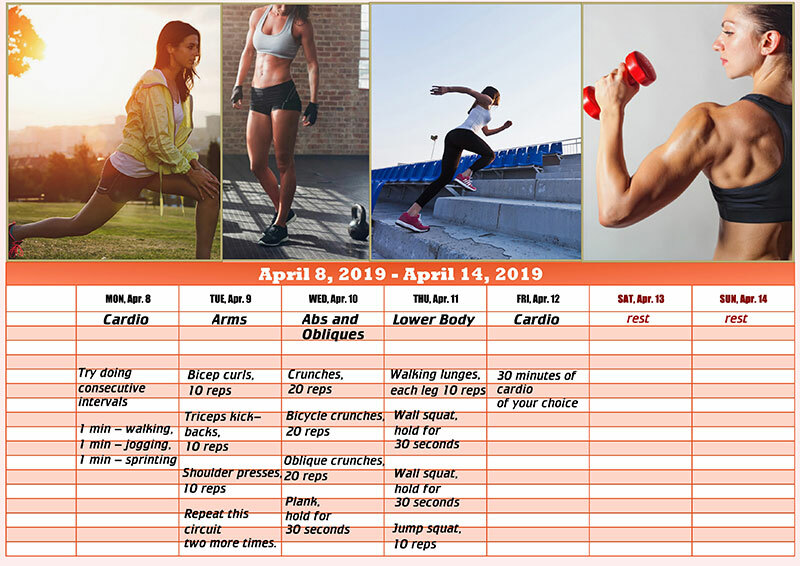 The most effective way to make meaningful progress is strictly following a well-balanced nutrition plan and a smart training schedule. 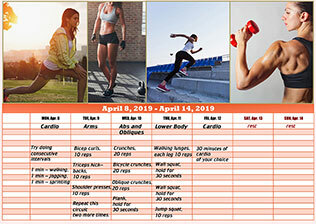 Make a customized calendar either for a week or for a month and personalize your workout planner by adding motivating pictures to it. This custom photo calendar fits in a wallet easily so it can literally be with you all the time. It’s tiny, that’s why you’d better avoid overloading the page with details while designing it. The ideal solution for a photo pocket timekeeper is to choose a tender colored close-up picture as the background. What calendar type to choose: a big wall poster, a compact desk calendar or convenient weekly planner for each month? 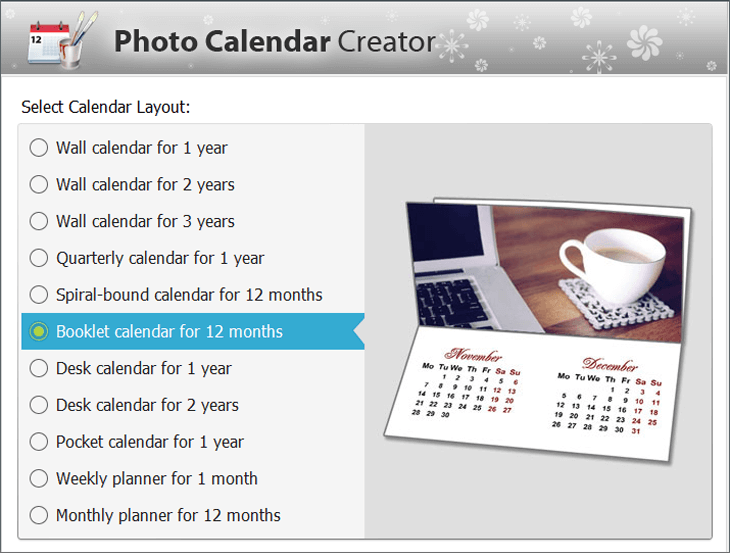 Create them all with the help of customizable photo calendar templates! In a hurry to get a last-minute gift ready right now? 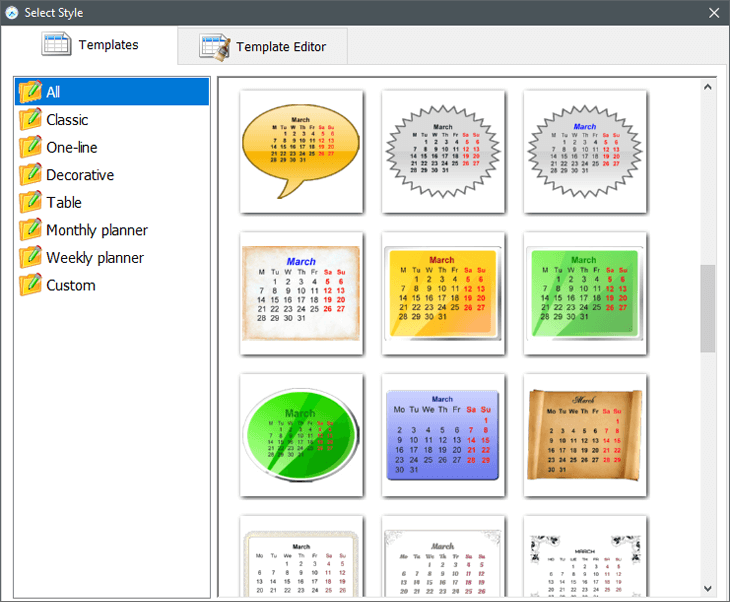 Pick a ready-made template to make a calendar at once. Have enough time to experiment? Personalize the month style. 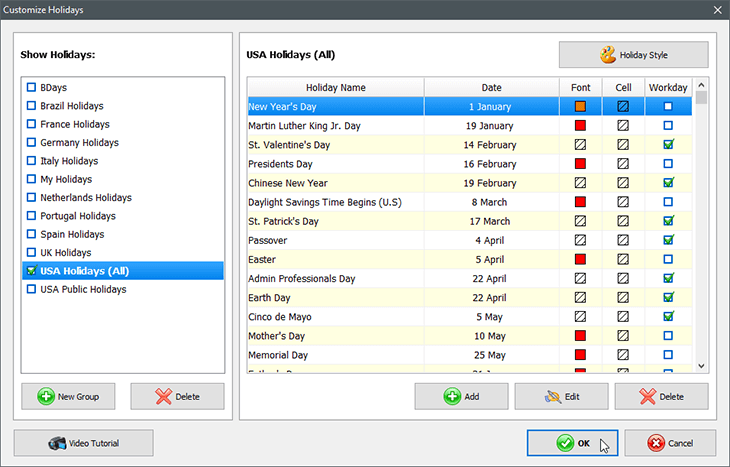 Check your country’s public holidays to display in your calendar. Also, create your own group of holidays, for instance, your closest people’s birthdays. Fond of gardening? 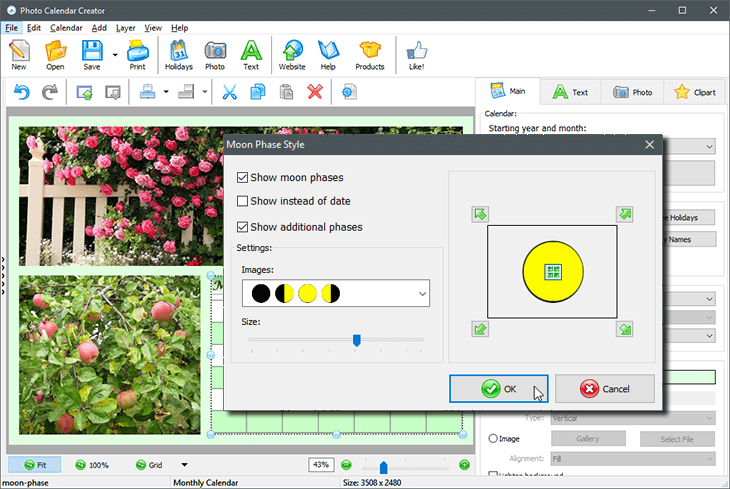 Make use of this option to help you grow your plants according to the lunar calendar. 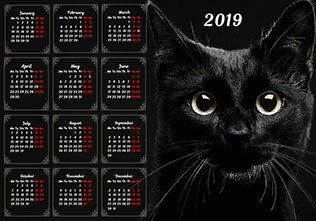 Save your calendar in the format you like and print it whenever you want. Convenient, isn’t it? 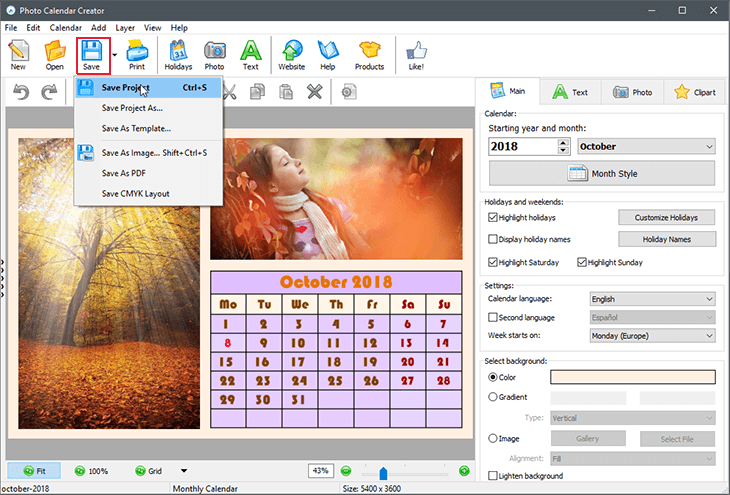 Photo Calendar Creator is very easy for home use. 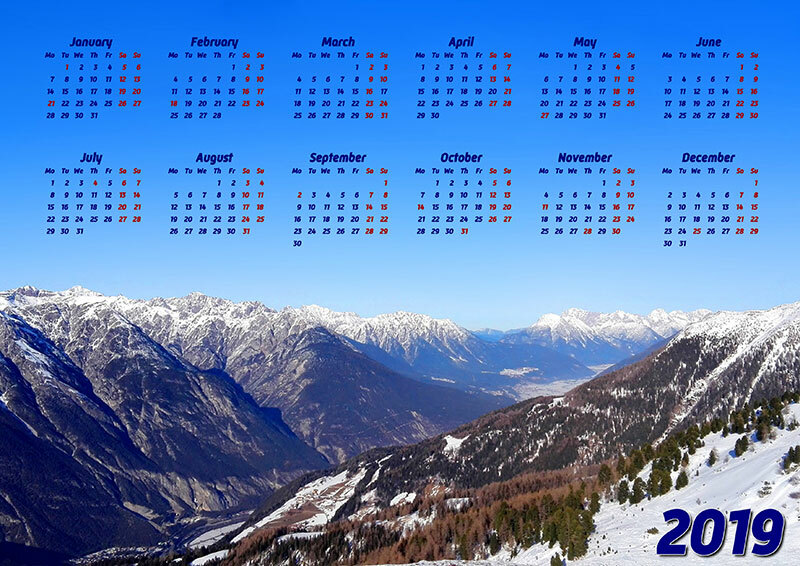 Making custom photo calendars with the help of this software is a matter of minutes and fun. Still thinking? Don’t waste your time and start creating cool calendars for yourself, friends and family right now!